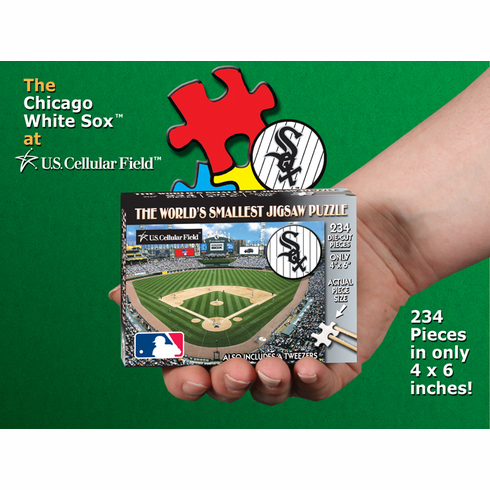 This 234 piece jigsaw puzzle is the world's smallest puzzle...measuring just 4" x 6" when completed. Tweezers are included! Features White Sox and U.S. Cellular Field graphics.